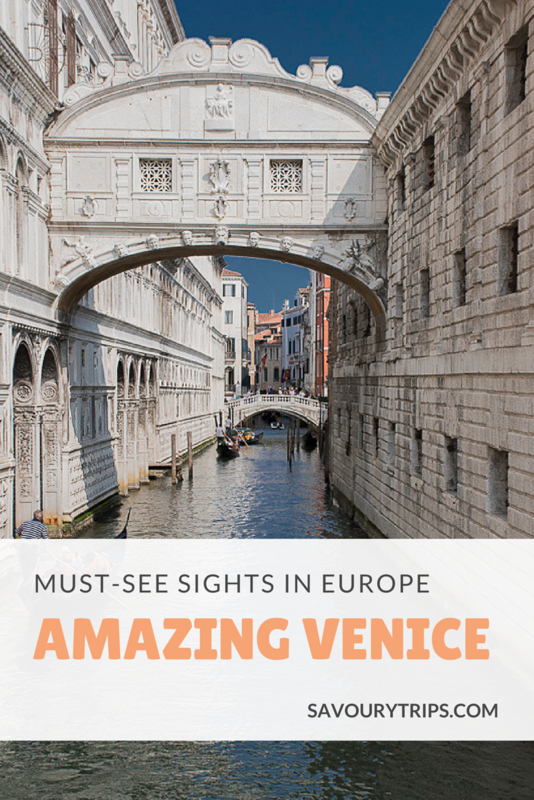 If there is a trip anyone should make at least once in their lives, it is the trip to Venice. For me, it’s a unique city in every sense, both historically and because its main and most important access is via water. But we have already told all those stories about history. 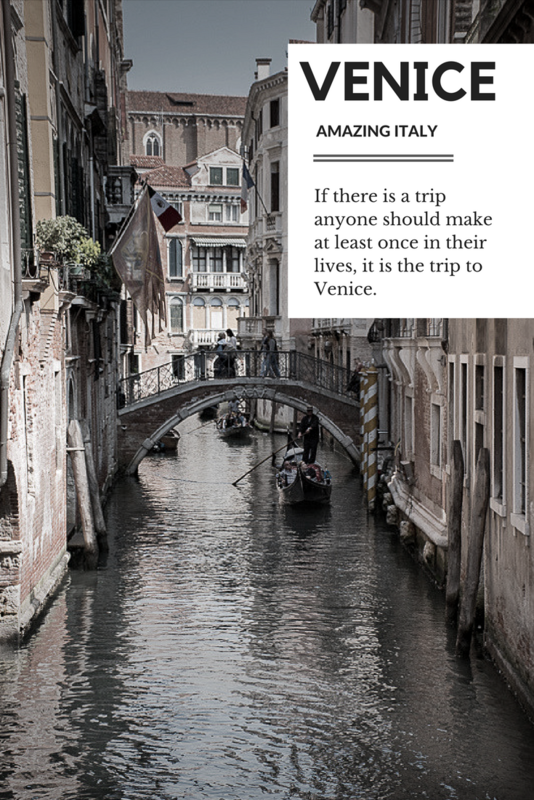 That’s why I made the effort to make my trip to Venice more creative this time around. 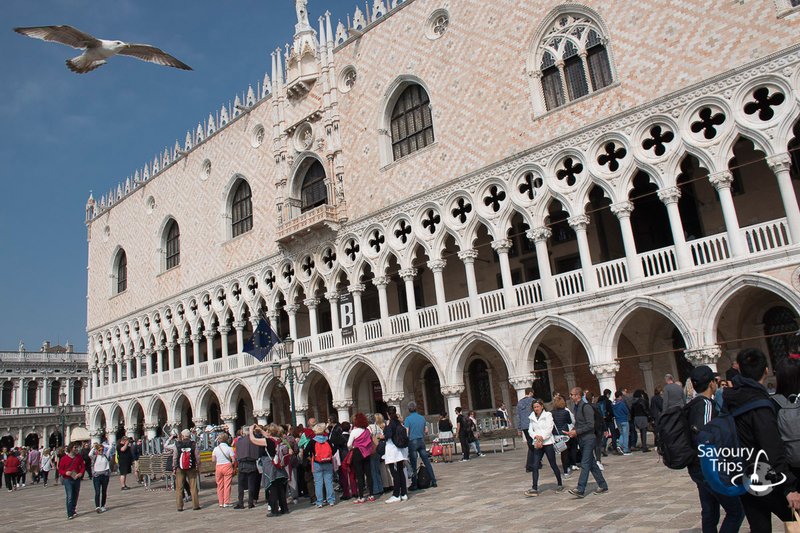 Venice is a number one tourist destination in every sense. It’s the place where there are crowds and tourists every day of the year. So, the season is 365 days a year. That’s nothing new, it has been like that since the Renaissance days. 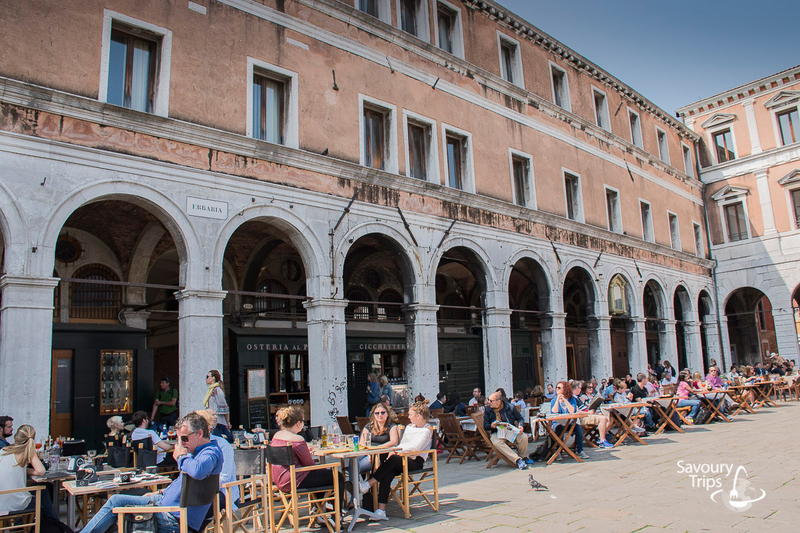 If you are travelling to Venice for the first time, relax. 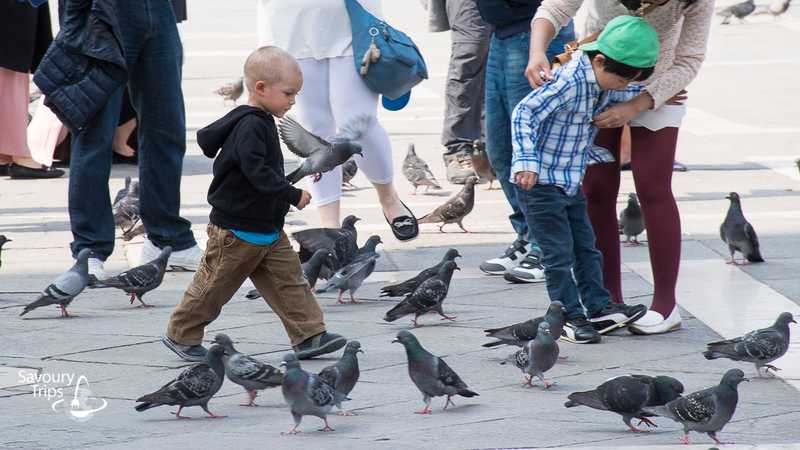 This is the best city in the world for strolling. 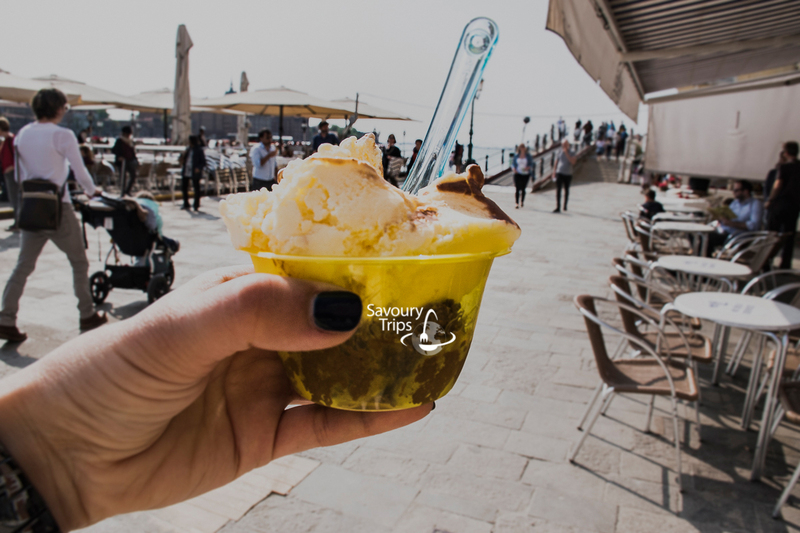 Just put on some chic sneakers and you are ready 🙂 … for such a chic town. 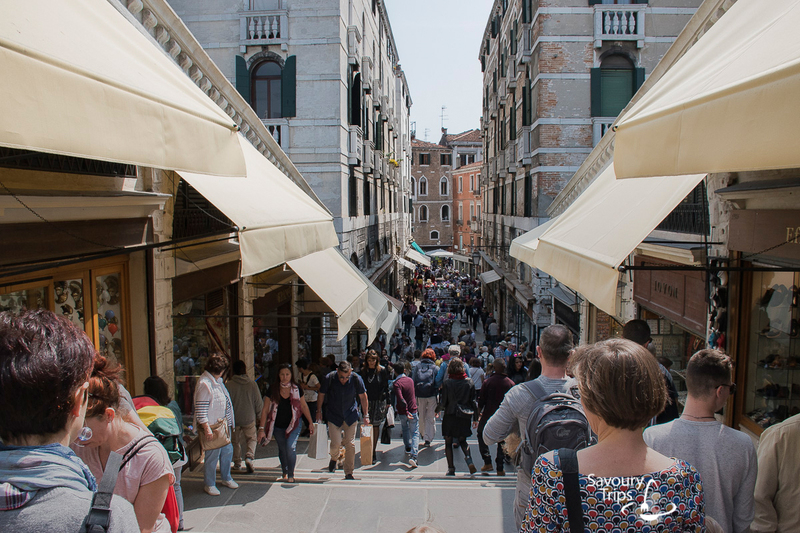 It’s good to know that Venice is divided into areas: Castello, San Marco – the city center, San Polo & Santa Croce, Cannaregio – it’s where the locals live and Dorsoduro. While you’re walking, it’s important to keep an eye on your things. 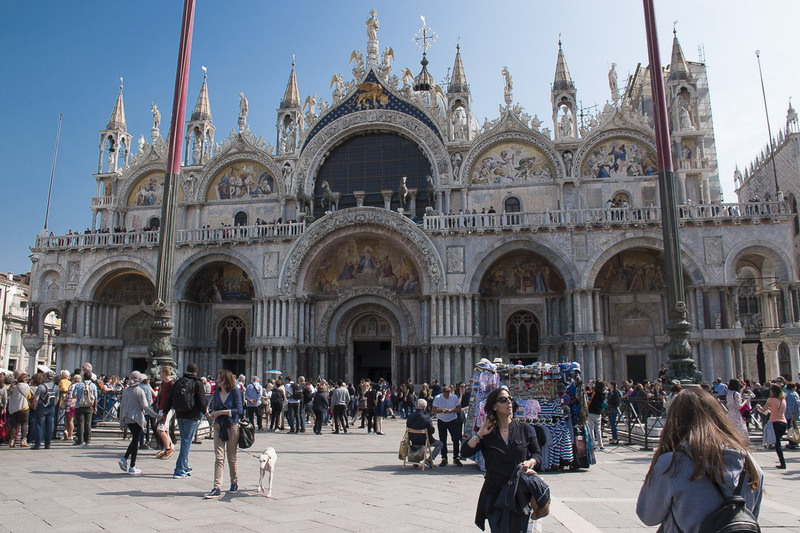 Big tourist crowds are always convenient for pickpockets. 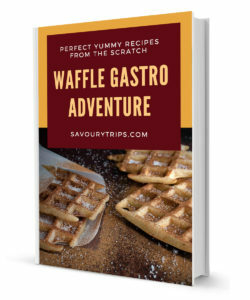 Avoid restaurants that have menus made for tourists. 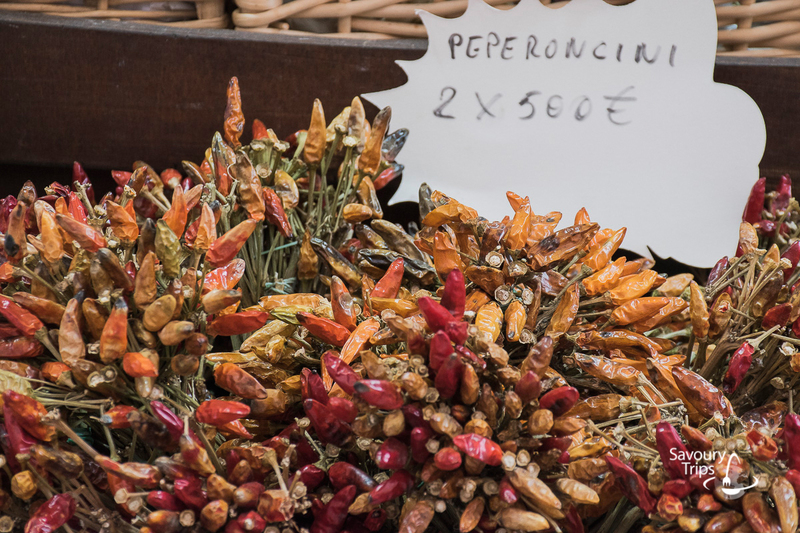 That’s everything but taste of real Venetian cuisine. By showing you beautiful pictures and posting short comments beneath them, I will guide you through everything that’s worth paying attention to, and a little bit different from what has been seen until now. 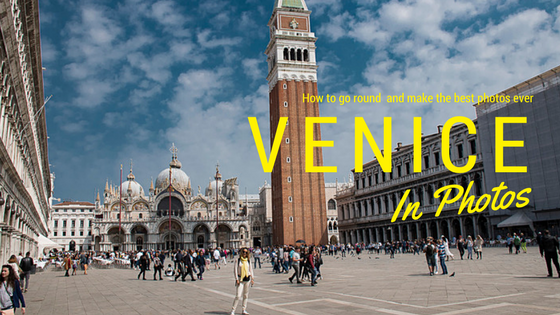 What to do in Venice and how to be creative? I made hundreds of photographs and for the first time, I didn’t feel embarrassed for taking out my camera and photographing the same scene for ten times until I got it right. 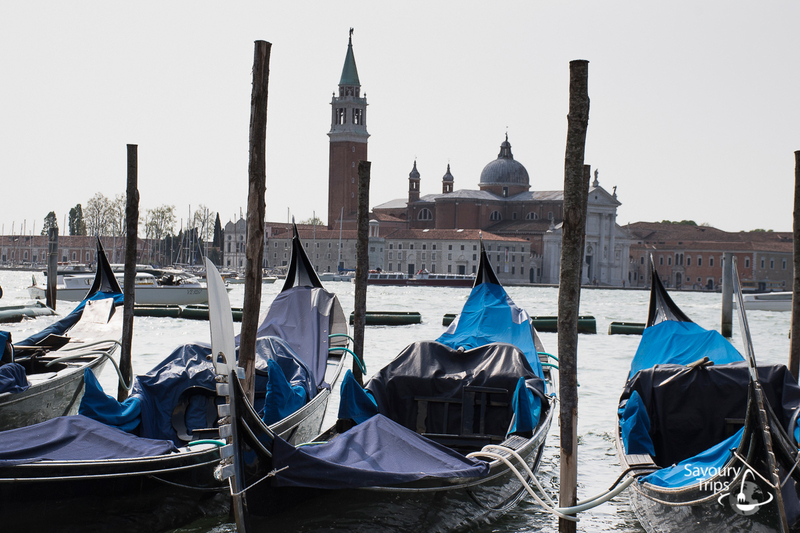 Parked gondolas next to the dock and San Giorgio Maggiore church in the background. This city inspired me so much that I spent 64 GB of memory just on photos. 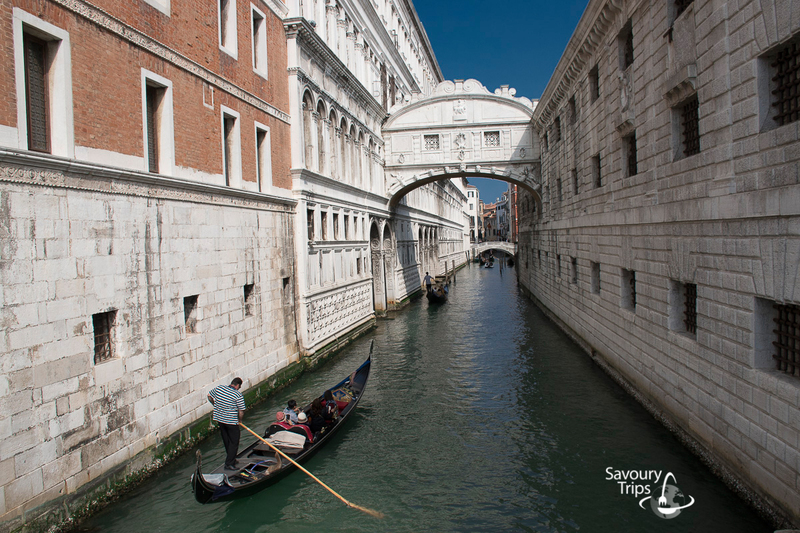 Bridge of Sighs, as a link between the Doge’s Palace and the prison. 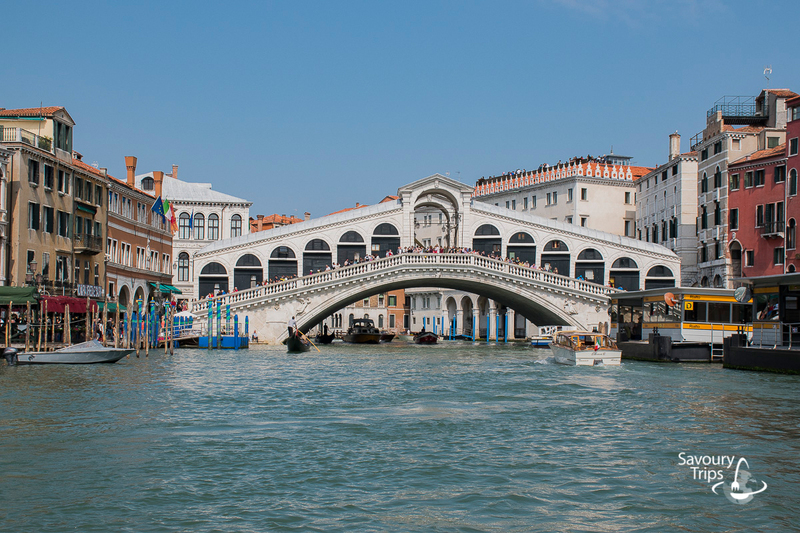 It didn’t get its name after the sighs for Casanova, but because this is where the future prisoners would pass through the tiny holes in the bridge sighing after the freedom they were about to lose. I took pictures of everything colourful, I wanted to make memories of all the beautiful moments I spent there. This happened to me so many times. It’s the city of maze. At first sight, everything seemed similar and familiar, but in the end, it always turned out to be different. Then I looked for rescue… but how? 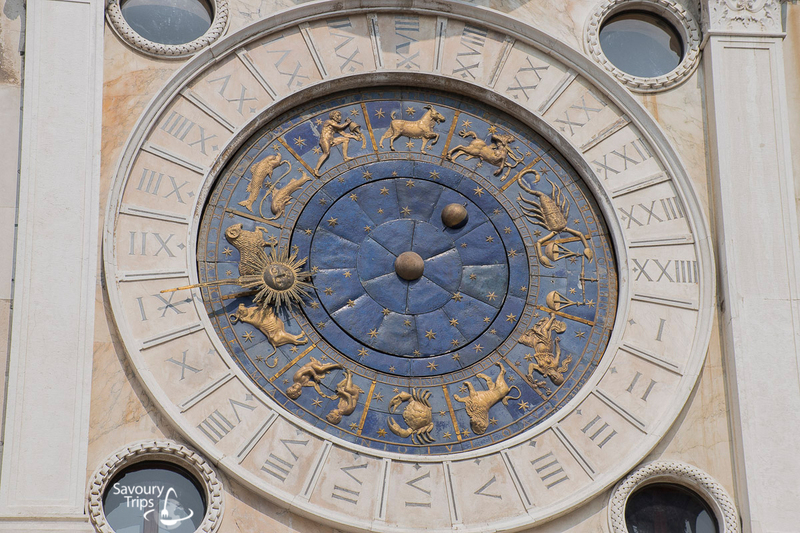 What helped me many times where the guideposts to the St. Mark’s church. 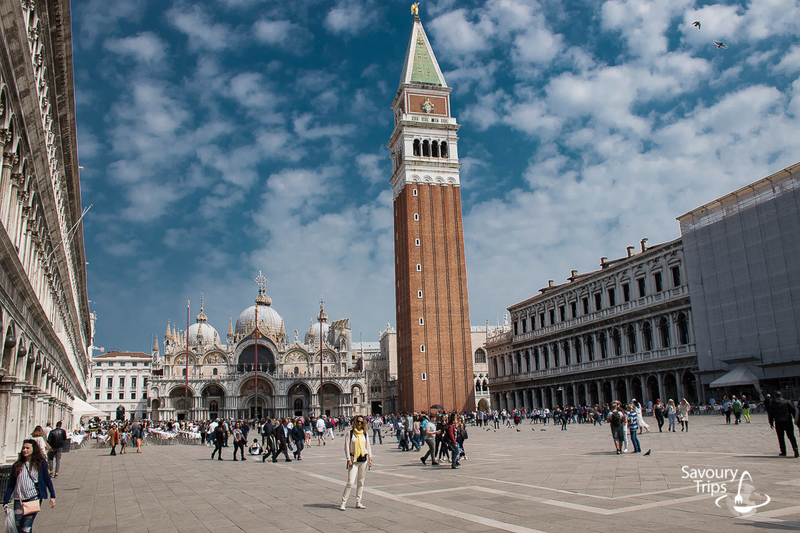 Instead of “all the roads lead to Rome”, here it’s “all the roads lead to St. Mark’s square”. As much as I was shocked when I heard the price (80 euros for 35-minute ride), I don’t regret a single euro spent on it. 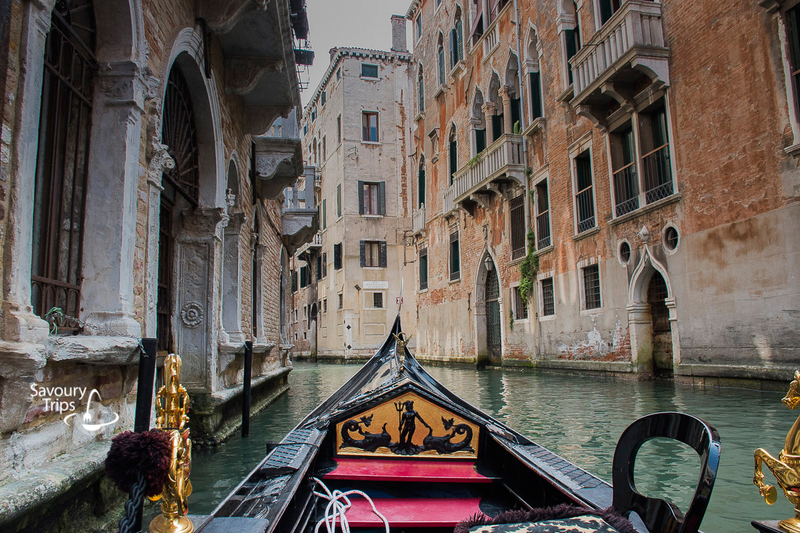 It’s such a magical feeling, riding in a gondola, watching all the pictures that you pass by, other gondolas…I felt as if someone had raised the curtain, the spotlights went on and I entered the stage 🙂 That’s how much romance fit into only a 35-minute ride. 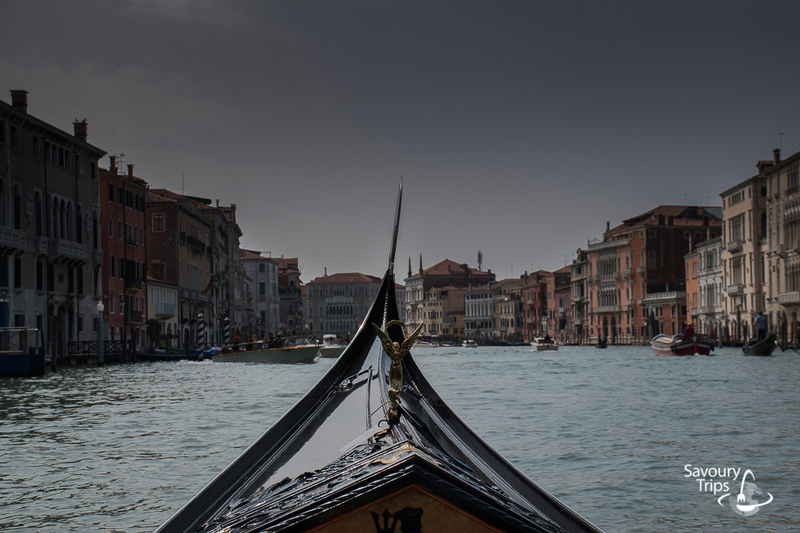 A very useful advice on how not to pay that much money on a gondola, and still have a ride is to split it with another couple, friends or other tourists. 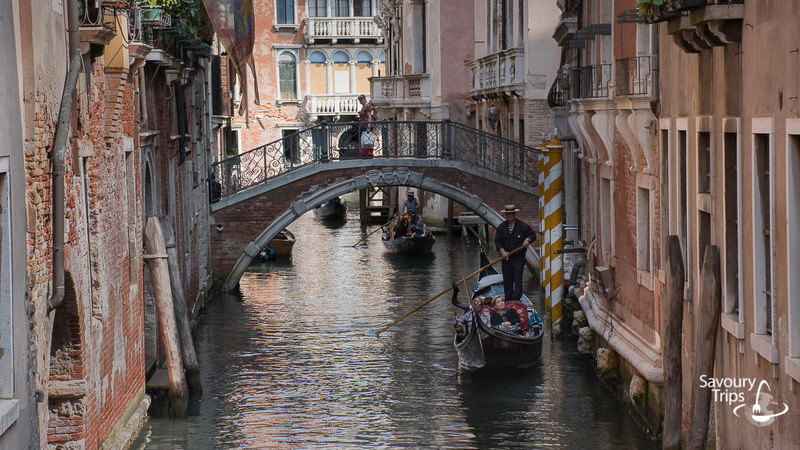 An entire gondola is 80 euros a ride, and more than two people can fit. 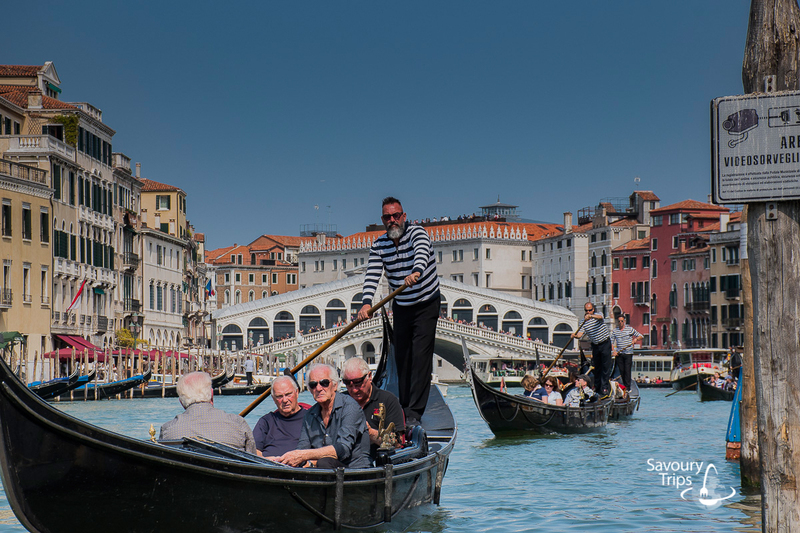 If you prefer not spending that much money and having less romance, then, as an option, you can use the city transportation vaporetto (7,5 euros a ride, daily ticket 20 euros). 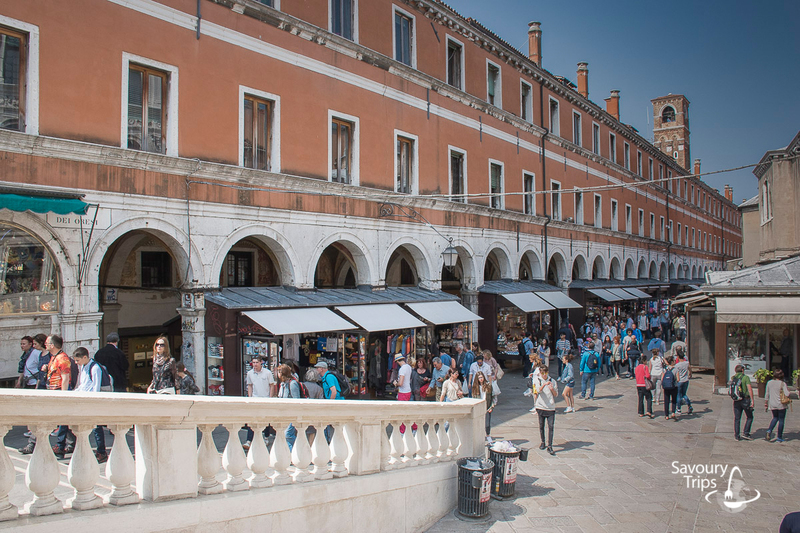 “Gondola building site” as I would call it is located at St. Trovaso square (Lo Squero di San Trovaso). 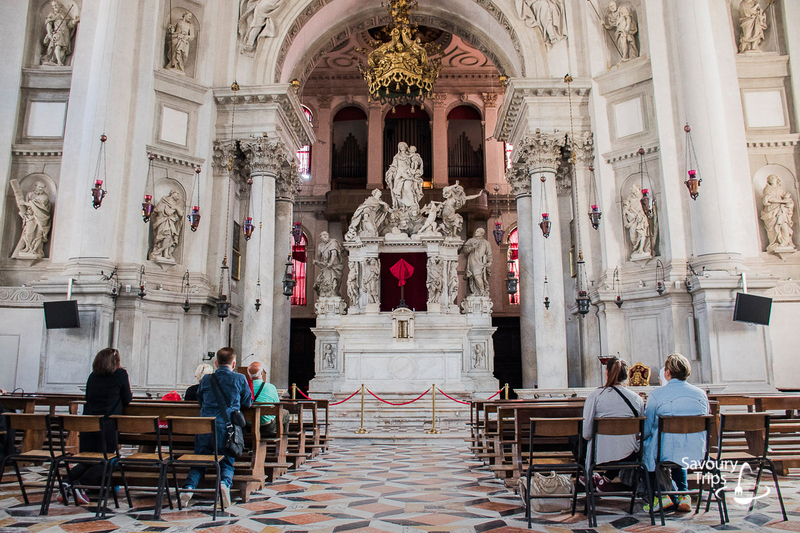 It was built back in the 17th century, and that’s when it was first opened. There were thousands of these beautiful little boats once, but today there are only a couple of hundreds. 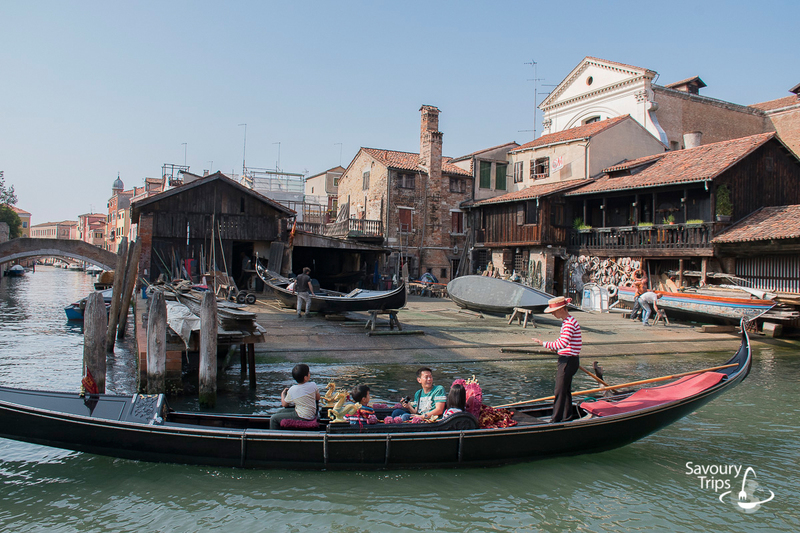 A gondolier job is very fancy and in high demand and is transferred from generation to generation through centuries, from father to son and so on. 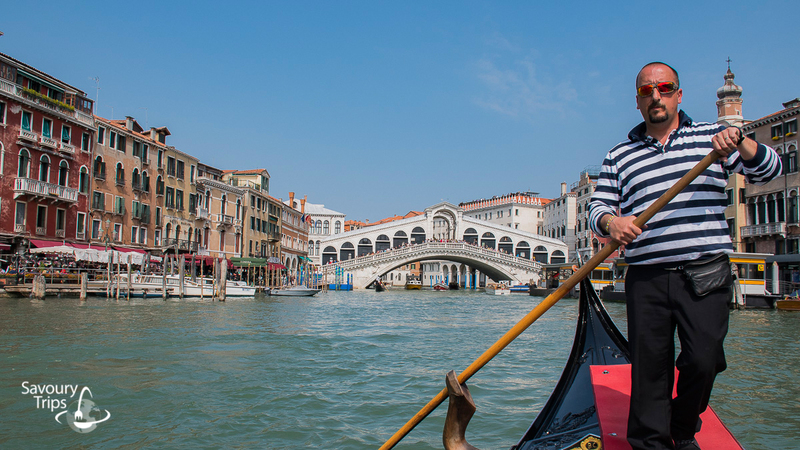 When you say gondolier…do you also think of a tall, handsome and charming young man? 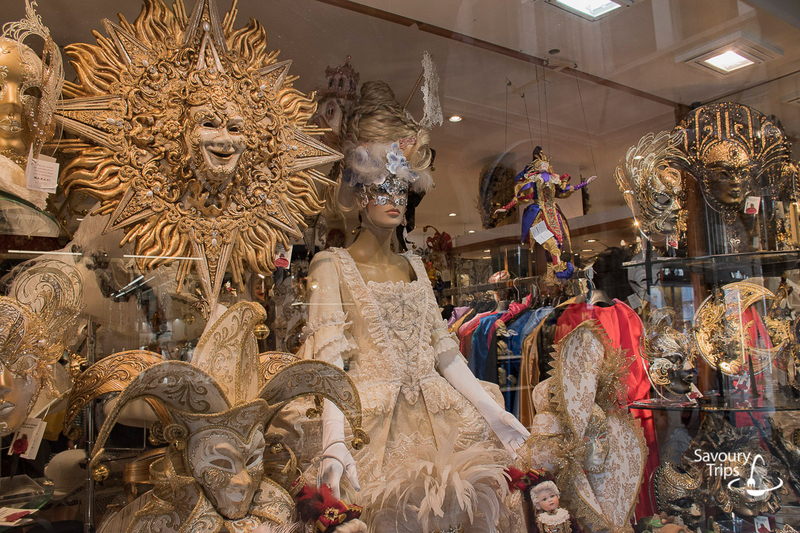 As a preparation for some of the future Venice carnivals. 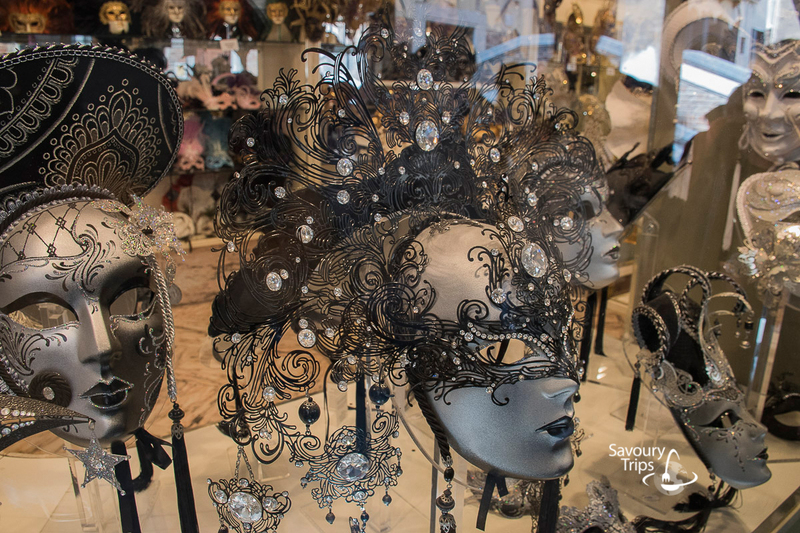 Most of the masks for sale are made for tourists, but in the city, you can find stores (ateliers) which sell masks traditionally made. 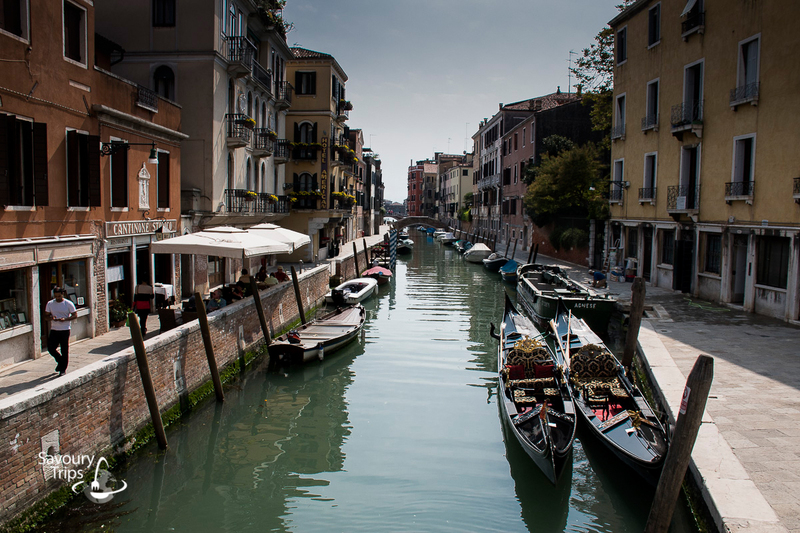 How to feel Venice breathing and see how the Venetians live in the simplest way? 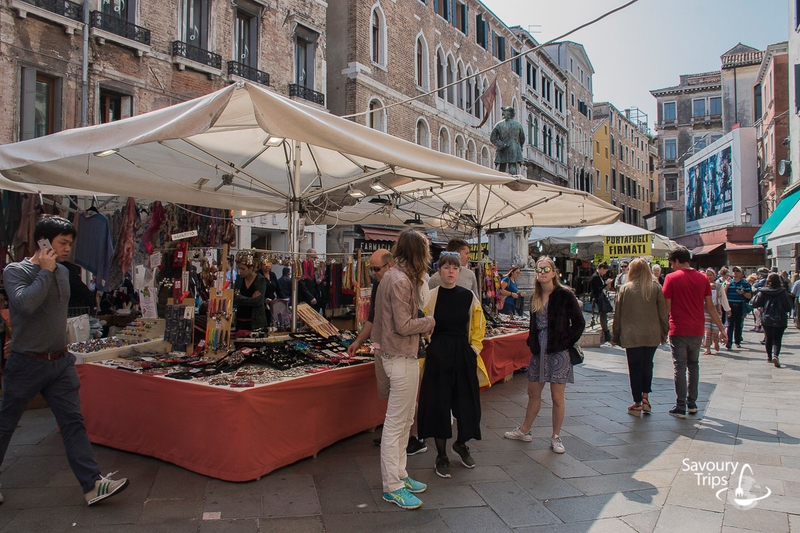 Walk through Venice during the market day, that’s where you’ll find out many secrets of Venetian life. 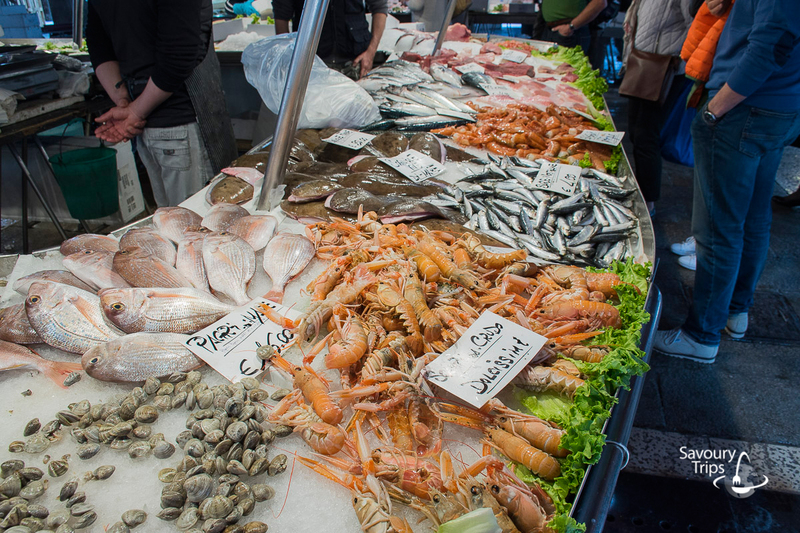 One of the most famous once in the region is Mercati di Rialto. 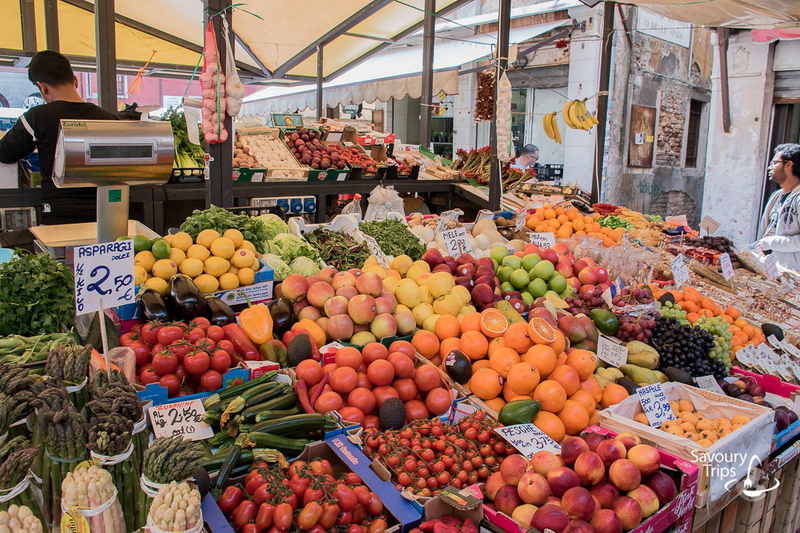 You know how much I like to sneak around the world’s markets, so I’ll guide you through it with the help of pictures. When you visit it, you’ll see why it’s exactly as I told you. 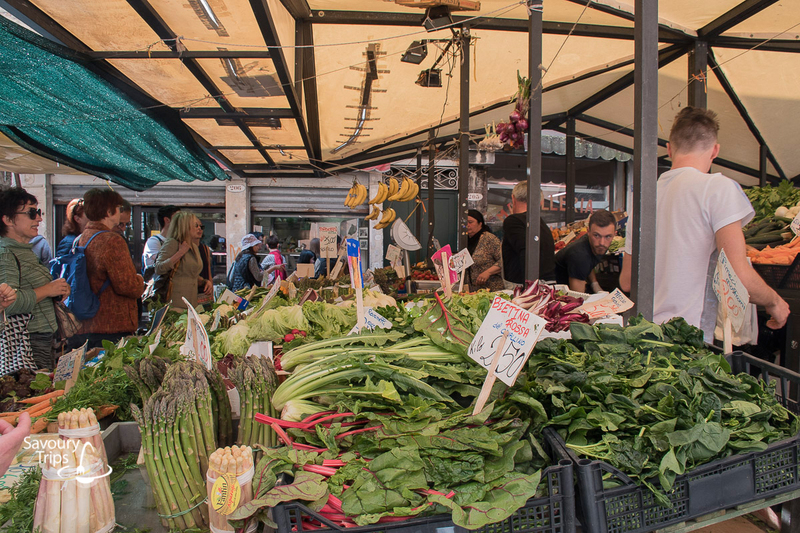 This is the market that every tourist visits..
Visit bars and restaurants where locals go to. That’s where you’ll find the best food and most fun. 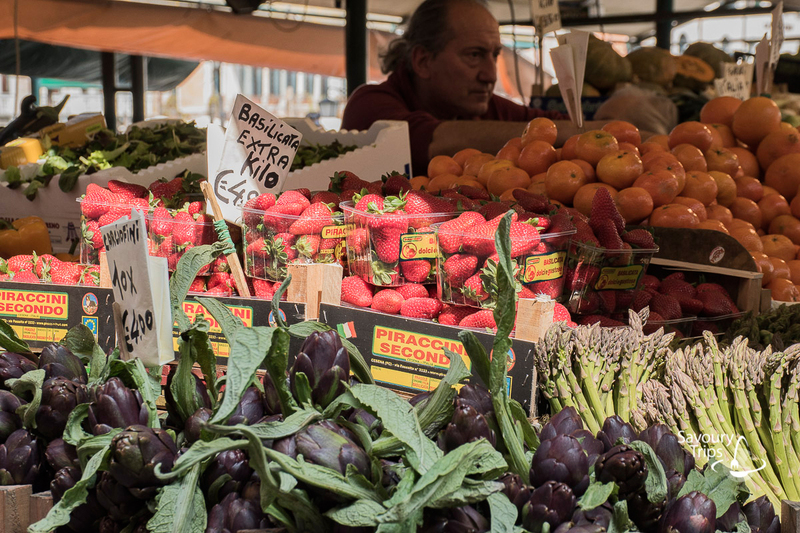 Osteria da filo – for all of you young in spirit, it’s located just a few meters from Campo San Giacomo dall’Orio. 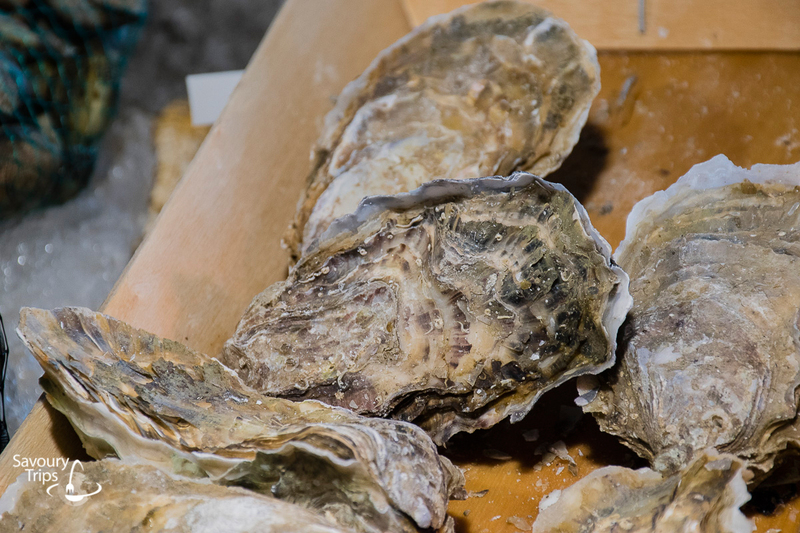 What’s different about it from the rest of the recommended places is that it has live music – jazz and blues. 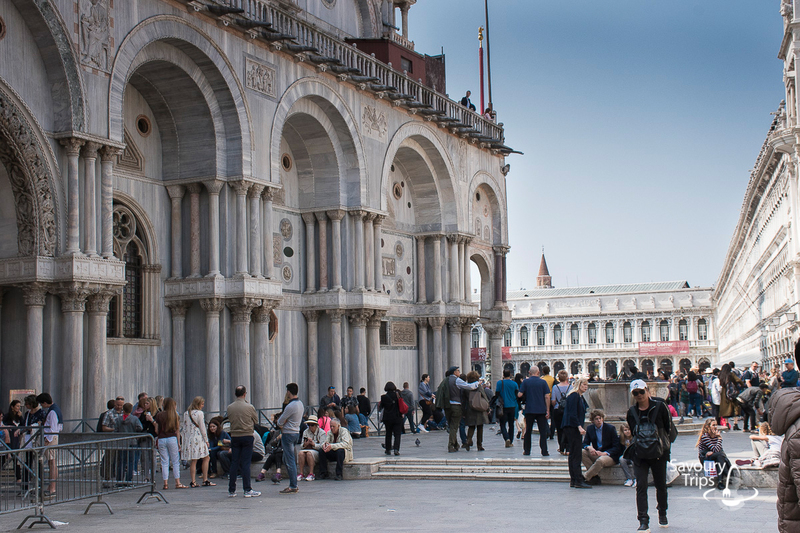 You can find it in the heart of Venice, at St. Mark’s square. 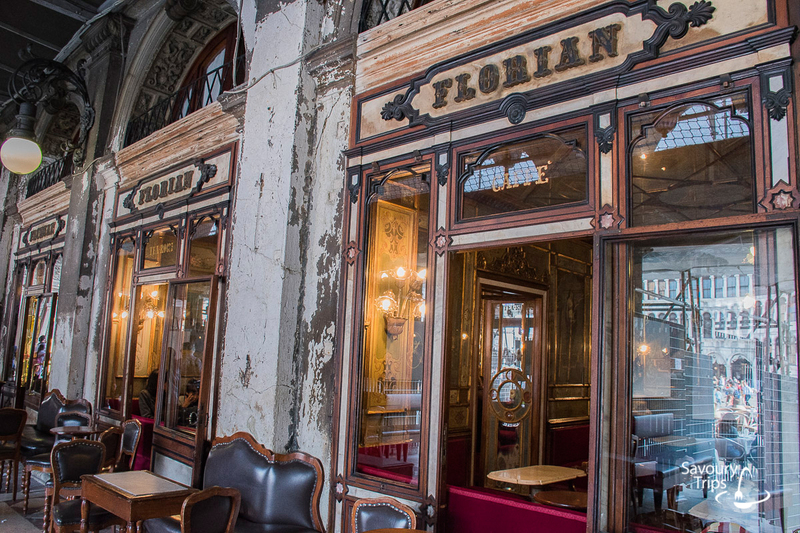 Café Florian is one of the oldest coffee shops in the world that’s still open. 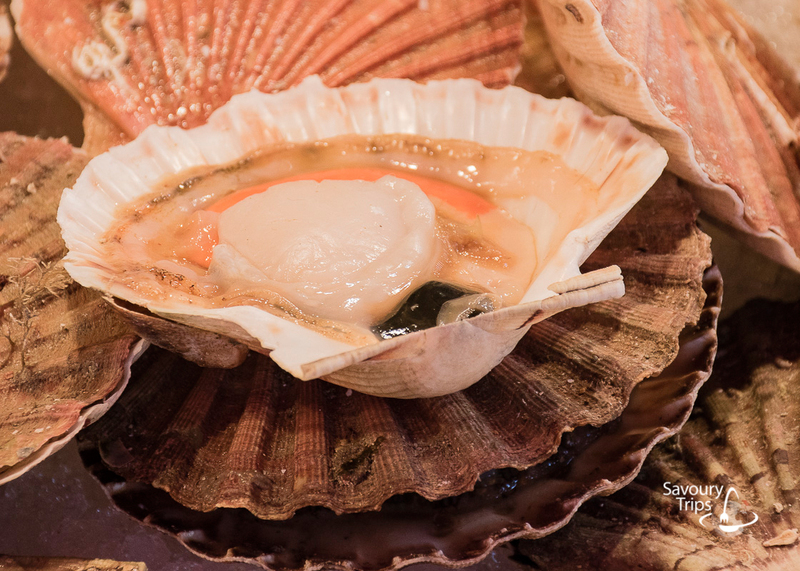 It opened in 1720. 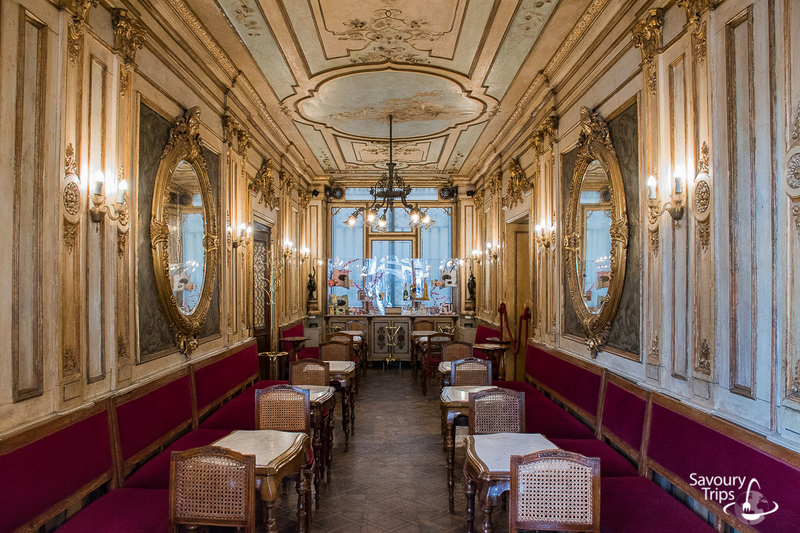 Today’s café Florian has six saloons and I can’t decide which one is the prettiest. Sitting somewhere among the numerous cafés with the view over the Grand Canal. It’s always packed with people. 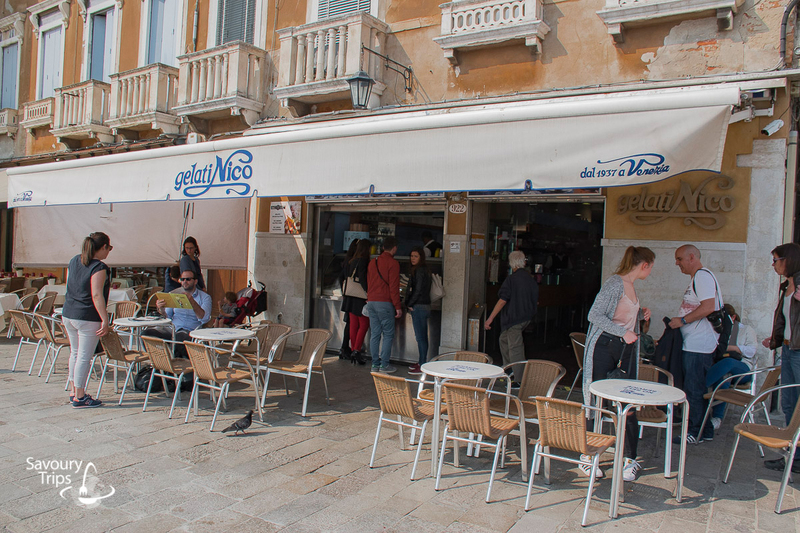 And eat one of the best ice creams ever in the Nico pastry shop in Dorsoduro. 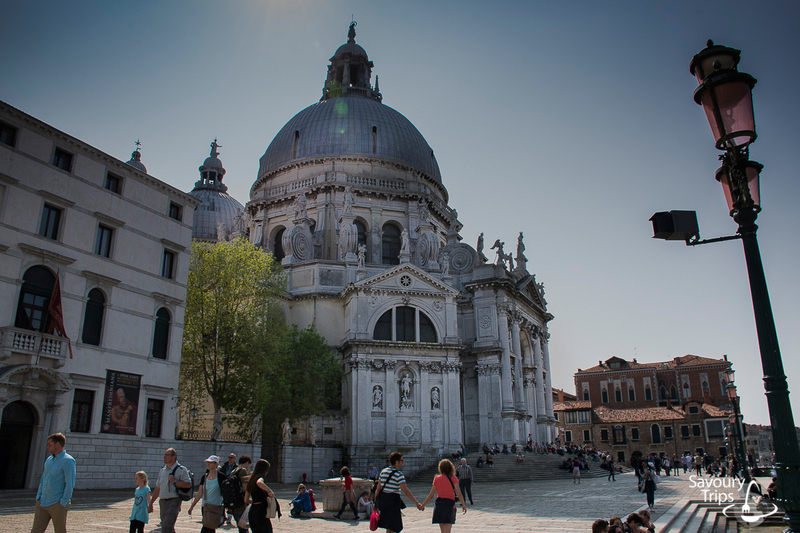 It’s on the way to the Santa Maria della Salute church (on the coast behind the church). The facade of Santa Maria della Saluta that the famous Serbian poet Laza Kostic wrote a poem about. And you know what’s the best way to go to sleep?